Long-term care insurance. Do you have it? So, what’s the point of this post? It’s not to bash Medicaid or facilities that accept Medicaid. It’s a call to action. If you don’t have long-term care insurance, look into it. The sooner the better, because it gets significantly more expensive the older you get. If you don’t know who to talk to about it, contact me and I’ll give you some referrals. The man I met I with was so affected by his dad’s current situation, that he went out and got long-term care insurance for him and his wife. He didn’t want his wife or kids to have to go through what he’s going through with his dad. Like I always say to my clients, you’re not planning for yourself. You’ll be incapacitated or dead. You do it for your family and friends who will have to take care of you. Make the decision today to get your estate planning affairs in order. Contact me today for your free consultation. Providing my clients with that peace of mind is my primary goal when creating estate plans. 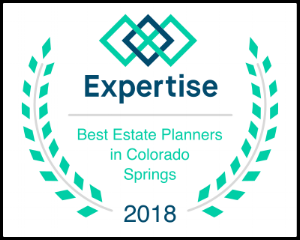 If you’ve been putting your planning off and it keeps nagging at you, call me to set up a free estate planning consultation. May is graduation month. This is a time when many of you may be celebrating your children’s academic achievements, and even getting ready to send them off to college. During this hectic and emotionally tumultuous time, you may be all-consumed with helping prepare your soon-to-be college student for the next phase, causing you to overlook important estate planning matters. There are a few important things you should add to your to-do list as you get ready to send your kids off to college. Every year, roughly a quarter of a million young adults between the ages of 18-25 wind up in the hospital. From alcohol poisoning and nonlethal accidents to unexpected illnesses, it’s important to hope for the best but prepare for the worst. Once a child reaches the age of 18, a parent’s decision making role is significantly diminished, especially in regards to making healthcare decisions. Should your child get in a car accident, or fall ill and not be capable of making their own medical decisions, then without a durable power of attorney naming you as health care agent for the child, you cannot make medical decisions on your child’s behalf. If you want to ensure that you can continue to make healthcare decisions for your child, creating a health care power of attorney should be at the top of your to-do list. In order to make informed medical decisions, it’s important to include a HIPPA authorization form along with a health care power of attorney. Without it, you would be unable to communicate with healthcare professionals and insurance companies, as well as access your child’s health records and previous treatment information. The Family Educational Rights and Privacy Act is designed to protect a college student’s privacy, but it can also leave parents locked out in an emergency. A properly worded release can allow you to talk to school officials and release pertinent educational records and information should you need it. They have a law degree and passed the Bar. They must be good, right? Several years ago, my son had some reconstructive surgery. My wife spent hours researching doctors before choosing a doctor in Denver. This doctor had an impressive resume-- she had attended great schools, had lots experience and we liked her. The first surgery was an absolute failure. The doctor was surprised at the result and assured us that if she did it again, we'd get the result we expected. The second surgery wasn't much better, and our frustration increased. We decided to give her one last shot, thinking the third time's a charm. Same surgery with the same result. We were furious and confused. How could someone who seemed so qualified, do such an awful job? Not just once, but three times. Ask for referrals from friends or family or coworkers. Do you have a CPA or financial adviser? These professionals regularly work with estate planning attorneys and should have some good insight. Google their name and see what you find. Do they have a website? Do they have any reviews on Google? Go to the website Avvo and see what it says about them. Go meet them in person. Most attorneys offer a free 30-minute consultation. Ask lots of questions. After 30 minutes you should have a pretty good sense of whether you like the attorney or not, how experienced they are in estate planning and whether they're competent. Don't confuse price with value and remember that you usually get what you pay for. I'd be nervous about an attorney who says they'll prepare your trust-based plan for $1,000. I'd run from an attorney who says it will cost $10,000 to do the same thing. If you're looking for an estate planning attorney, try this out on me. Look me up on the web. Schedule a free consultation and come meet with me. I'm confident you'll be happy with what you find out. "I thought a Will avoided probate"
I was asked to look over a Last Will and Testament that was recently drafted by an attorney in town. I asked her what she wanted her estate plan to accomplish. Among other things, she wanted to avoid probate when she died. She was shocked when I explained that probate would be necessary with a Will. I don't know the cause of her misunderstanding--maybe from her prior attorney or from bad information on the web. Whatever the source, she thought she had a good plan in place. If you have a plan that you're uncertain about, or questions about how it should work, I'm happy to look it over. Better to fix it now, than to leave your family with a mess. Call Justin Fish Legal today for a free consultation. "We Just Want Something Simple"
I recently met with a couple who wanted to update their estate plan. Early in the meeting, the wife said matter-of-factly, "We have a simple estate. We want a simple estate plan." When people tell me that they have a "simple estate" what they're usually saying is that they don't think the value of their assets warrants anything more than a "simple" plan. As I talked to this couple I learned a lot about their "simple estate." This was a second marriage for both of them. The husband has a child with severe mental disabilities. The wife has a son who's an alcoholic and a daughter whose marriage is shaky. The husband owns a rental property in California. The wife is expecting a fairly large inheritance in the next few years. The truth about estate planning is that the overall value of one's assets is a just a fraction of determining what type of plan a person needs. For this couple, there were so many issues to address that had nothing to do with the current value of their estate. The non-money related issues actually made their estate somewhat complex. There's a common saying among estate planning attorneys: "You don't know what you don't know." This is why a great estate planning attorney is so important. Looking at more than just the overall value of the estate reveals that something "simple" normally won't cut it. Call or e-mail Justin Fish Legal today to schedule your free estate planning consultation. I recently worked with a man whose situation illustrates how important it is to have an estate plan in place. "Bill" passed away in October and had an estate worth over 4 million dollars. He was single with no kids and had one one brother with whom he had little contact. I always prepare a Living Will when I create an estate plan. A Living Will contains a person's instructions in the event they're in a vegetative state or have a terminal condition. Before Bill died, he fell into a vegetative state. His healthcare agent relied on Bill's Living Will to make end-of-life decisions. I later spoke with Bill's healthcare agent and he expressed how grateful he was that Bill had a Living Will. He simply followed Bill's wishes and wasn't left with the difficulty of deciding when to end another person's life. I've learned that estate planning is really meant to benefit the people we love. When we plan, we provide set of instructions wherein we describe what we want to happen during our incapacity and at our death. These instructions are invaluable when it comes time to make decisions. Taking care of our estate planning is a great gift to give our loved ones this holiday season. Myth #1: I'll lose my home and my spouse will be forced to move out. Medicaid is a needs-based program. This means that if a person has too many assets, they won't qualify for Medicaid benefits. The applicant's personal residence is exempt from that determination. Additionally, Medicaid will not take someone's home when there is a surviving spouse living in it. Myth#2: I'll just gift all of my assets to my children to get below the allowable amount of assets. When determining eligibility, Medicaid has what it calls a "look-back" period. They look at all gifts that the applicant made five years prior to the application being submitted. For every $7,000 gifted in the past five years, a one-month penalty is incurred. For example, if the applicant gave away $70,000 during the past five years, that person will not be eligible for Medicaid benefits for 10 months. Giving assets away in order to reach the asset limit is one of the worst things an applicant can do. Myth #3: I can't qualify for Medicaid benefits until all of my assets are spent down. While it is true that only a certain amount of assets are allowed in order to qualify, there are strategies to speed up the spend down process and preserve a percentage of the assets for the applicants children or other loved ones. Medicaid rules are complicated. Undertaking the effort to qualify for long-term care benefits without the assistance of someone versed in the rules and knowledgeable of the process will likely lead to mistakes and frustration. Call me today to discuss how I can help your loved one qualify for long-term care benefits. A friend of mine is a pilot. He was recently flying with his wife when he experienced problems with his plane. His plane lost power at 12,000 feet and he was forced to make an emergency landing in a snowy field. His plane came to a stop less than 100 yards from a 700 foot cliff. Fortunately, he and his wife were unharmed. They also have their estate planning in order. This experience reminded me that we never know when tragedy might strike. And it's not just limited to what we might consider a high risk activity like flying a plan. A car accident or a botched surgery could be life-changing. There's really no reason to put off your estate planning. In fact, getting it done will create a sense of peace. Call me today for your free estate planning consultation. Inherit the IRA. You can transfer the proceeds into an inherited IRA for your benefit so that the assets can grow tax-deferred. You can then take distributions over your lifetime and enjoy the benefit of tax-deferred growth on the assets remaining in the inherited IRA. Take a lump-sum distribution of the assets. Once you've inherited the IRA, you can take a lump-sum cash distribution. However, you'll lose the benefit of tax-deferred investing and, because the money counts as ordinary income for the year in which you receive it, you may end up with a sizable tax bill. Refuse to take ownership of the assets. You have the right not to take the inheritance. This refusal is called "disclaiming" the inheritance. If you do, the surviving primary beneficiaries, or secondary beneficiaries if there are no other primaries, are entitled to the undistributed amounts. Your status as a surviving spouse, a spouse who's also one of several beneficiaries, or a nonspouse beneficiary. The date of the original owner's passing and whether the owner was older or younger than age 70½ at the time of death. In most cases, you'll need to take your RMD by December 31 of the following year. However, if the owner passed after reaching age 70½, you may also be responsible for taking the owner's remaining final RMD by December 31 of the year of death. If other beneficiaries were named. The life expectancy used in the RMD calculation depends on whether each beneficiary has established his or her own inherited IRA by December 31 of the year following the original owner's death. If so, you can use your own life expectancy. However, if the account isn't split into separate IRAs by the deadline, the oldest beneficiary's age is the one used to determine the RMD amounts for all the beneficiaries. Before you decide on a distribution option, you should talk to an attorney who has experience with these decisions. The potential tax implications and loss of tax-deferred growth are serious issues with substantial financial consequences. Will Your Estate Plan Work? My wife and I recently purchased a mattress and are in the process of replacing our car that was stolen/wrecked ( a story for another time). With most of these products, you can try them out for a few days or a few months. If it doesn't work right or you don't like it, you return it with no further obligation. This ability to try things out provides a sense of comfort and confidence in your purchase. How do you get the same effect with your estate plan? You really won't know whether your estate plan works like it should until your incapacitated or you've died. Those aren't the ideal times to validate your estate plan. There are ways to ensure your plan will work. 1) Don't do it yourself. Let a professional handle it. 2) Work with an attorney who is experienced and has created plans that have proven effective. 3) If you have an existing plan, have it reviewed. I was reminded last week of a concept from Steven Covey's book "Seven Habits of Highly Effective People." It's the idea of categorizing tasks as urgent/not urgent and important/not important. I'm usually pretty good about taking care of things that are urgent and important. It's the not urgent/important tasks that I put off. I've found that estate planning falls into the not urgent/important category for many people. It's something they know they need to get done, but there's no sense of urgency. There was a client at my old firm who loved to purchase properties at tax lien auctions, and had over 100 properties. The story goes that he told his family that all of the information about the properties was in his head and he'd eventually get around to taking care of his estate planning. He didn't get around to planning before he died. The family was left with a huge mess as they tried to discover all of the information that their father had kept to himself. Because life is so unpredictable, estate planning should not just be important. It should also be urgent.